If you don't like the look of those square or rectangualr speakers, that often have ugly cables running from them, then you're not alone. TV Magic Yarralumla not only want all of your TV, Antenna's and Audio Devices to function properly, we want them to look their best as well! If you've gone to the trouble to buy a nice TV, to add to the look of your Lounge Room, you don't want that look to be ruined by some ugly, outdated speakers. What Speaker Options Can We Offer at TV Magic Yarralumla? We have a whole range of different speakers to suit whatever kind of TV setup you may have. For instance, if you're having a Home Theatre Installed, you may want in-ceiling speakers rather than the typical, square or rectangular ones that sit beside the TV. You may even want multi-room, Surround Sound or Outdoor Speakers. But one of our favourite and most popular options are Soundbars. Why? 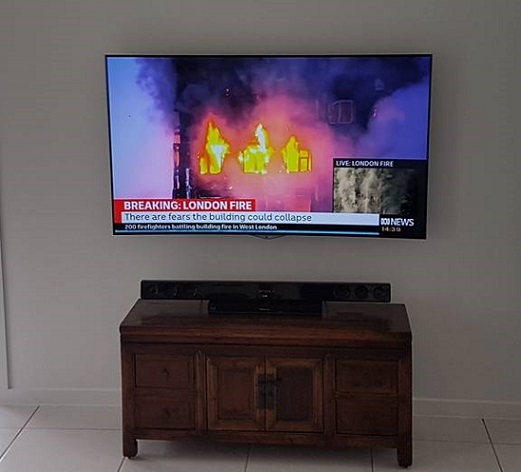 To begin with, they look good; streamlined and modern, and beneath a Wall Mounted TV, they can have the appearance of 'floating' beneath the TV, as they can be wall mounted also with no visible cabling. Should I Go for Sound Qulality over Appearance of My Speakers? Well you'll be pleased to know that you can in fact have both. Not only do Soundbars look better than many of the other speaker options available to you, but they also have quite a high quality of sound, not far behind that of Surround Sound Speakers. So, when you're seeking something that not only sounds good but looks good too, and isn't going to have an outdated feel about it, then it sounds like you need a Soundbar. Just call your local technician Carl today! Some of the other services I provide in Canberra include..
Canberra Award winning Home Theatre installation service. 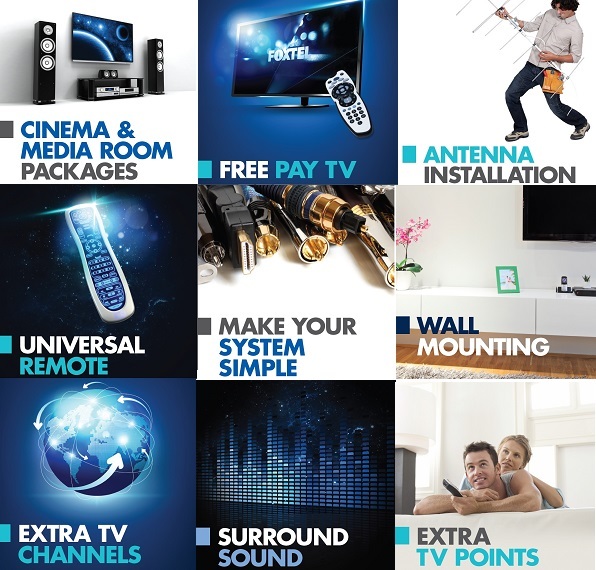 Our Home Theatre installers TV points, Universal Remotes, TV wall mounting, cinema rooms, MaTV and more.